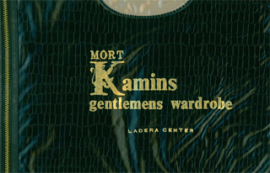 Mort Kamins Menswear, based in Ladera Heights in the late 1960's, sold mostly fine menswear and leisurewear including checkerboard jumpsuits, engraved MLK belt buckles and Louis Roth suits. 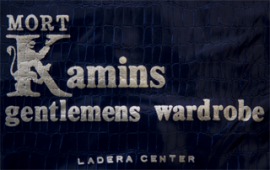 The store was outfitted with a putting green and a wet bar and according to Mort's grandson Josh Kun, the cilentele was "old Hollywood" and Mort played bridge on his off hours with characters like Shecky Green, Mickey Katz, Milton Berle, and Henny Yougman. 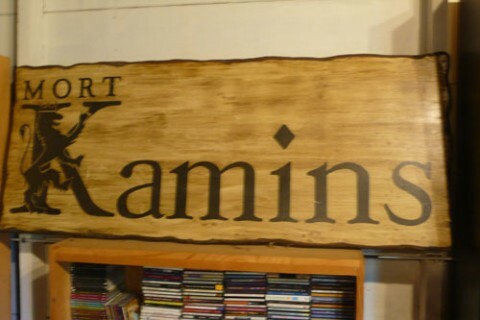 "I've always been impressed with his hands," Kun said, "He had incredibly thick man hands with very dry and creased skin, farm hands from North Dakota that knew fabric. He'd take a new blazer, he'd touch it, grab it, run the fabric through his fingers and decide if it was good material or not. That always struck me as a very grounded way to live your life. You have to touch it to feel it and figure out if it comes from a good place."